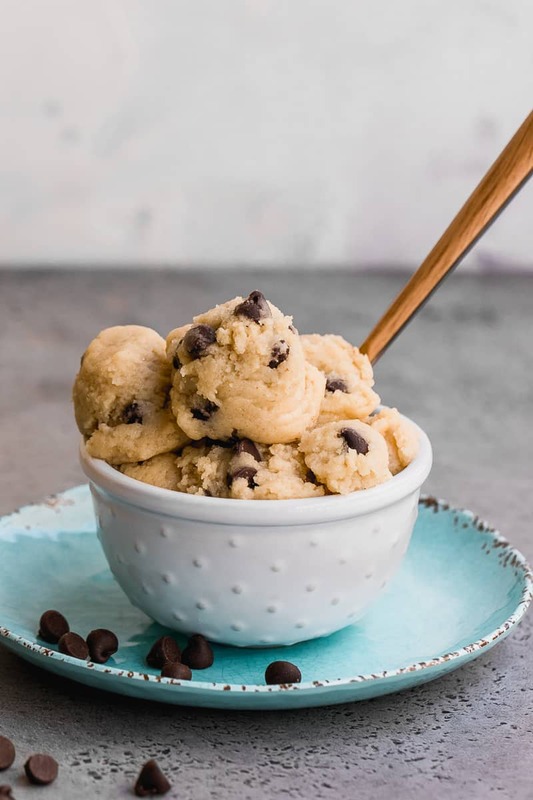 This Healthy Edible Chocolate Chip Cookie Dough Recipe is so easy to make and such a delicious treat to have without any guilt. 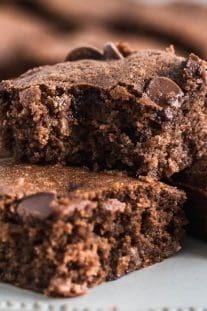 They are gluten-free and made with absolutely NO eggs. 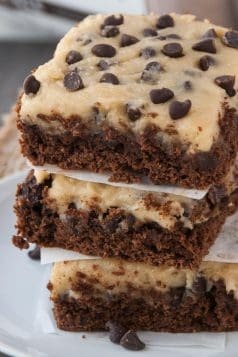 All Cookie Dough Lovers out there this recipe is for you! 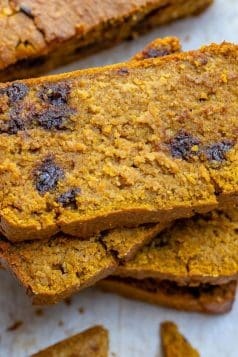 Often time as we are making cookie doughs for baking cookies we just want to dig in and start eating the dough! Especially the kids. They love licking cake batter from bowls and eat cookie dough raw. 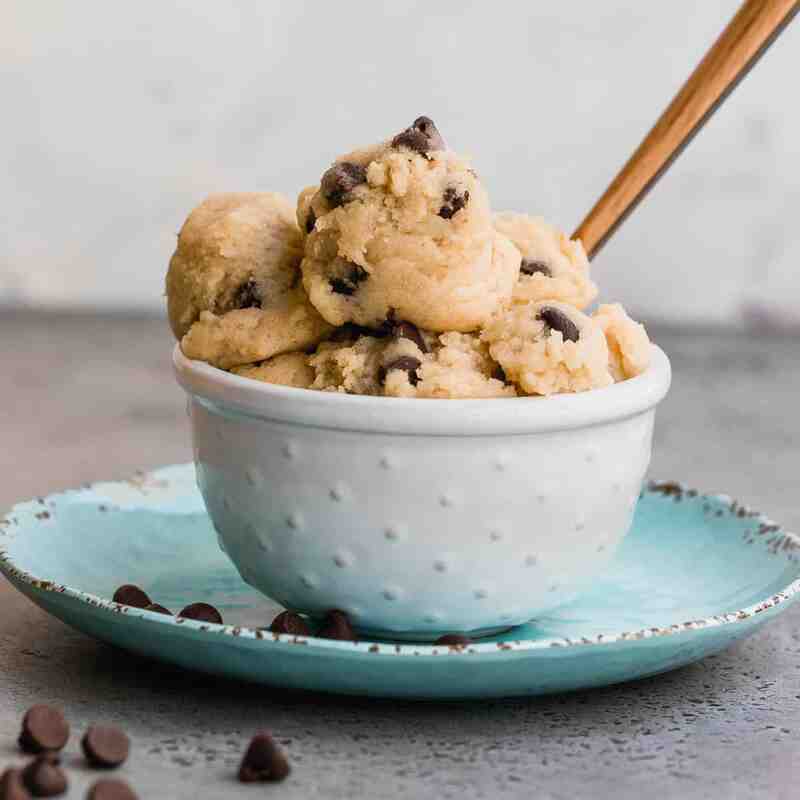 This healthy Edible Cookie Dough recipe is a perfect solution for this dilemma. 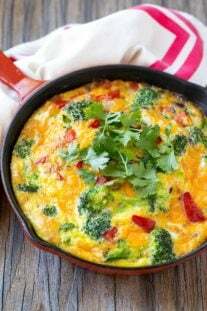 They are made with healthy ingredients and NO eggs what so ever. 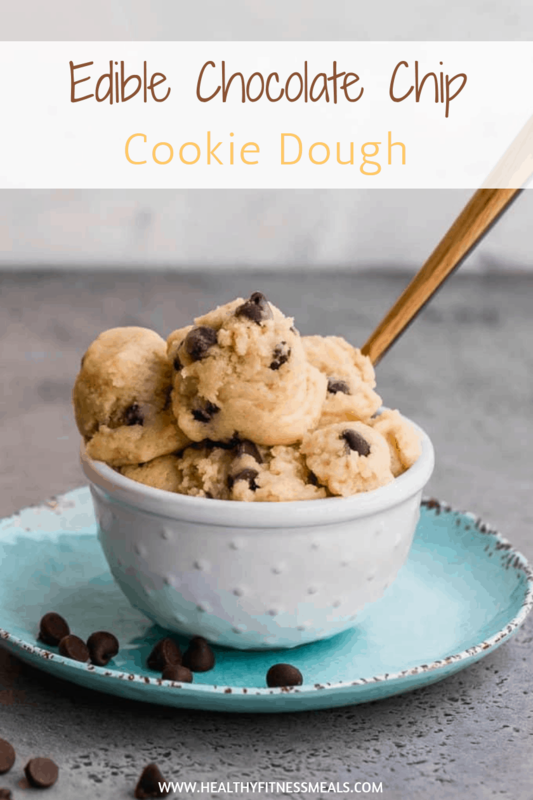 This eggless cookie dough recipe is the perfect dessert recipe the whole family can enjoy! 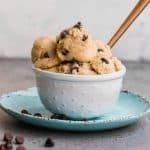 If you don’t have any gluten allergy you can use regular oat flour for this Edible Chocolate Chip Cookie dough recipe. 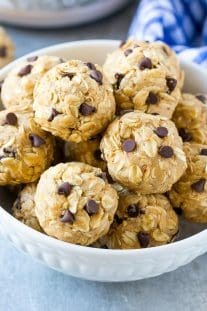 How long is Edible Cookie Dough good for? You can keep this Cookie Dough outside the fridge at room temperate for about 4-6 hours. 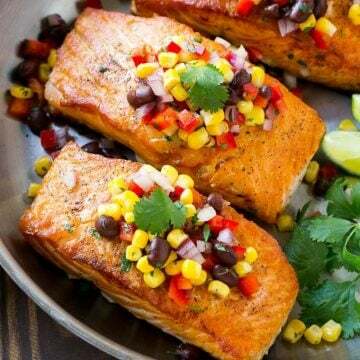 Remember that it will be firmer when it is kept in the fridge. Edible cookie doughs have no eggs so they last longer. 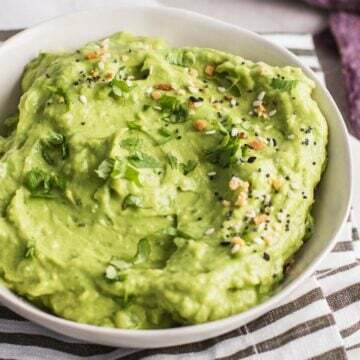 They can last up to a month in the fridge and you can freeze for up to 3 months. If you freeze these, you can thaw by placing in the fridge the night before. 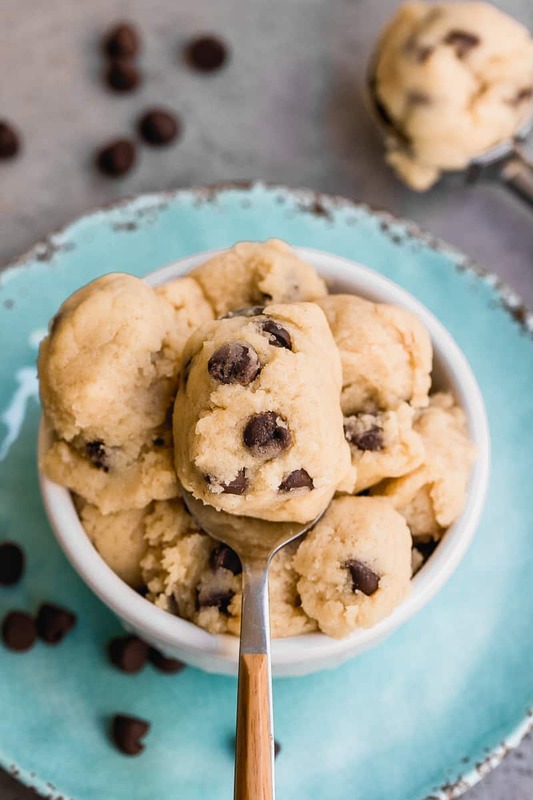 Can you eat premade Cookie dough? Premade cookie doughs have eggs in them. There is a huge chance of contracting salmonella from consuming raw eggs found in raw batters and cookie doughs. It is highly recommended not to eat premade cookie dough. 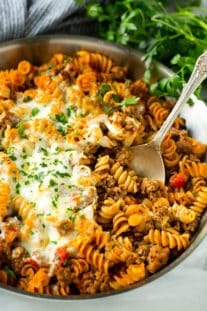 The more reason to make this recipe. 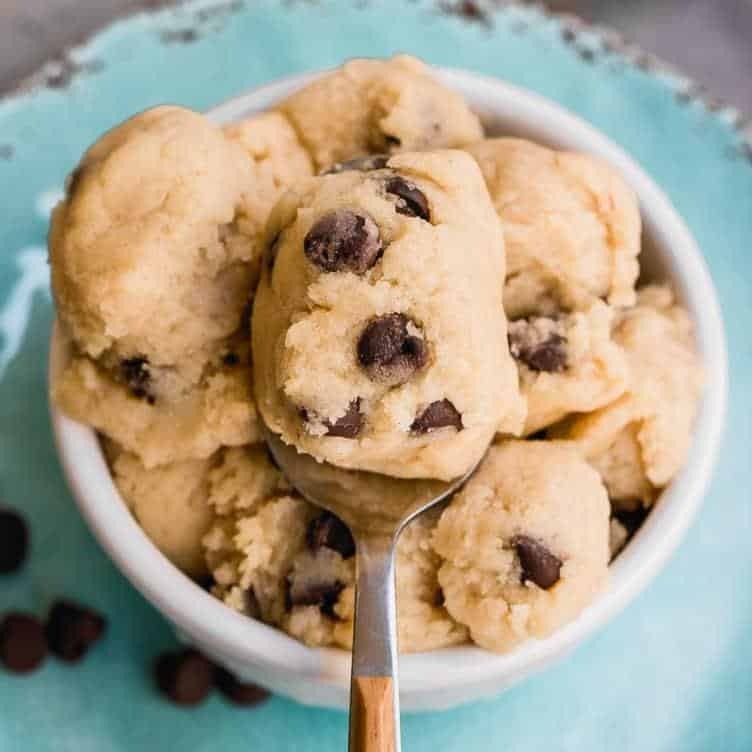 Technically you don’t need to refrigerate Edible Cookie Dough because they have no eggs in them. 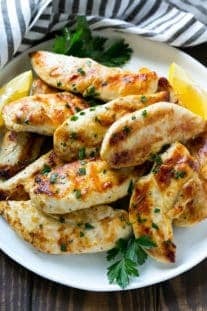 It will be firmer if you do place them in the fridge. You can keep your edible cookie dough at room temperate for 2-3 days. But you will find they may taste better if stored in the fridge. 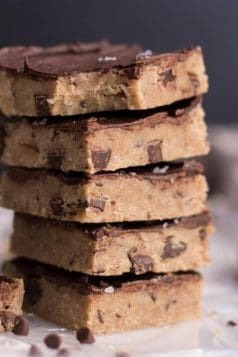 Making this Edible Chocolate Chip Cookie Dough recipe? I bet you will love it as much as we do. 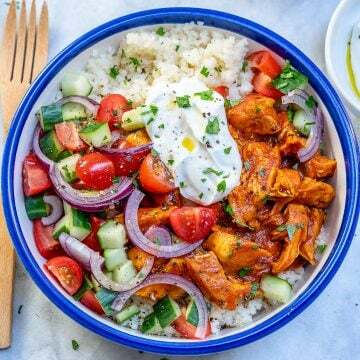 Don’t forget to tag me on Instagram and use my hashtag #healthyfitnessmeals. 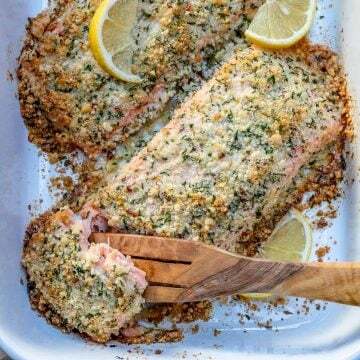 I would love to hear what you think of this recipe by leaving me a comment below.